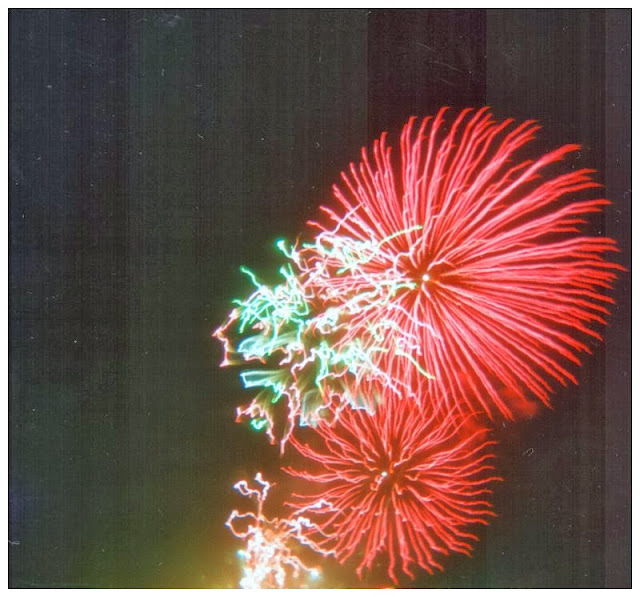 Holga shot of, well, fireworks from the Roundhay Park bonfire in Leeds a few years ago. I love bonfire night. 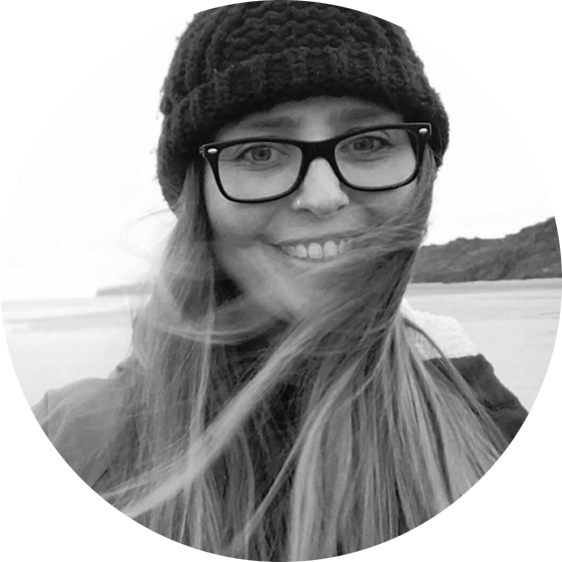 I love the fireworks and the standing round the bonfires and that it's another excuse to drink hot spiced cider and eat toffee apples and swirl sparklers like a loon. 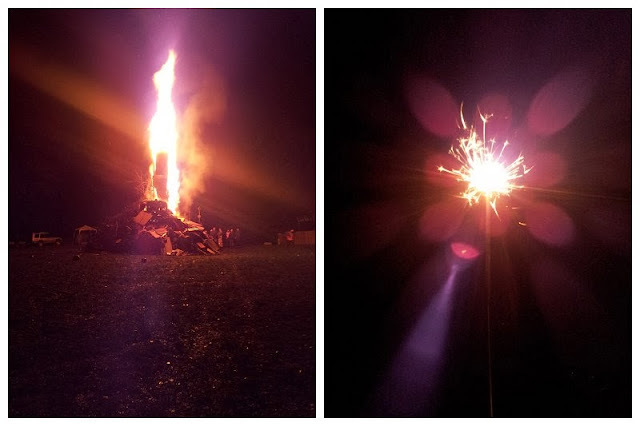 Our local bonfire was on Saturday night (which is great as I'm in London until late with work today). Walking there it was torrential rain. Rain that soaked through every layer of clothing I had. Rain that made my gloves so wet I could ring them out. But as soon as the flames started licking round the pile of wood and the fireworks lit up the sky, the dampness evaporated. Slightly. The one thing I don't love about bonfire night is the fact that people think it necessary to let fireworks off ALL the time for a few weeks either side of the actual night. They scare Flash so much, he runs about the house barking and getting agitated and trying to protect his house from the bangs - poor little thing. I agree about the letting fireworks off all over the place. There were displays the weekend gone, and the weekend coming. A week (at least) of cats going crazy! I haven't done anything for Bonfire night in ages, my dogs have thankfully never been bothered my fireworks, but it really does annoy me that fireworks will be going of for a while especially with animals being afraid of them. When I lived in Leeds we had fireworks left in front of our door and we had fireworks thrown down the street at us. I don't get that. I do love seeing fireworks displays though - they are super cool!